In the world today, convenience and energy conservation are important issues. And all too frequently, the two are mutually exclusive. Lighting control, however, is both convenience and conservation. 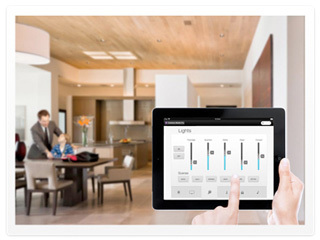 It allows control of multiple lights from with a single button press and control from a variety of interfaces such as remote controls and touch-screens. Lights are more efficient when dimmed and your house is more efficient when you have better control of which lights are on at any given time. Whether you are building a new home or you want to update your existing home, we design solutions for single rooms or the whole house. With MODIA, you don’t have to worry about leaving the lights on, you can turn them all off with one button.